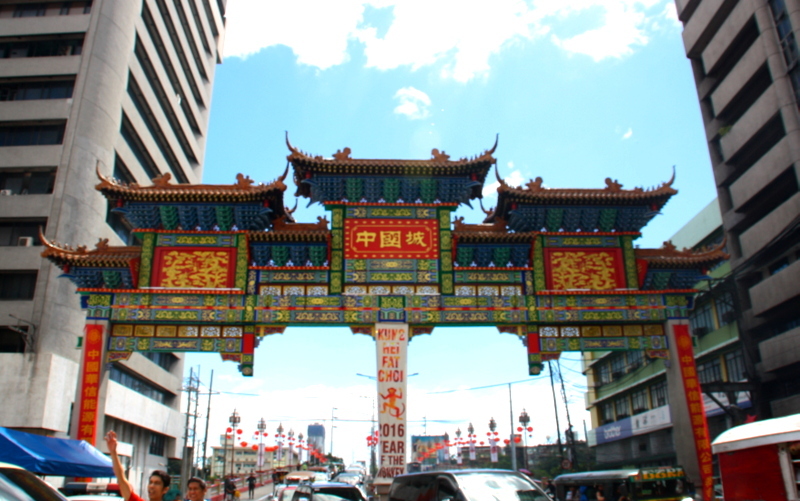 It has been years since I visited Binondo on Chinese New Year. Eager to practice using my camera and to give my eyes something to see other than my computer monitor, my sister and I planned a short trip. 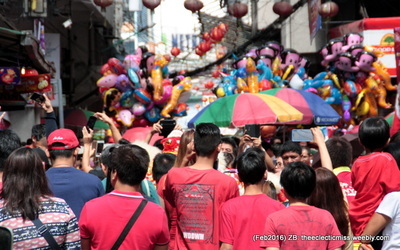 Just like any celebration of the Lunar New Year, Binondo is filled with people eager to join with the festivities. We already experience the traffic jam even before we reached Jones Bridge. We had a quick brunch of misua guisado and fresh lumpia in Quik Snack before we started our stroll. As we head out from Carvajal Street, we can hear the drums from Yuchengco Street. 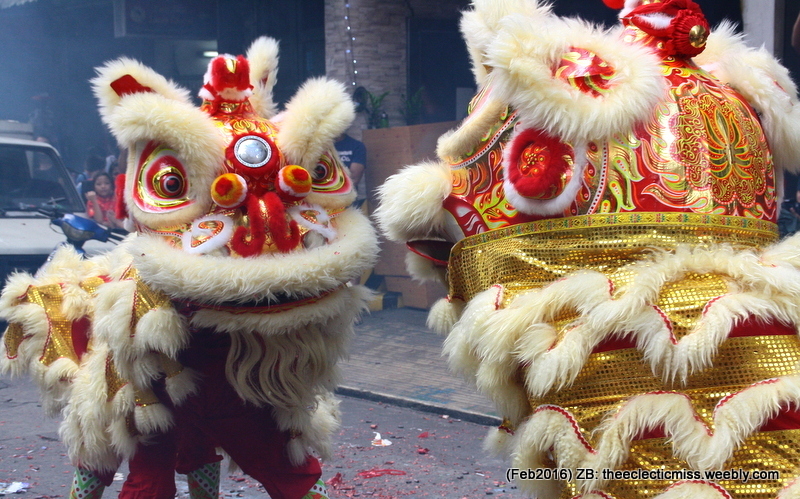 Only a few steps short to the corner of Ongpin Street, we were blocked by a huge crowd watching the lion dance. I was not really sure if I can get good shots with the number of people surrounding the dancers. 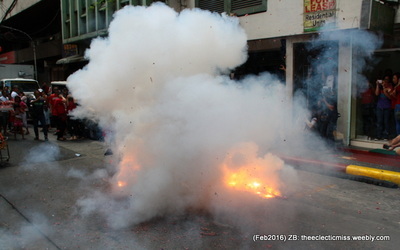 As much as possible, I avoid getting in the way of other people. 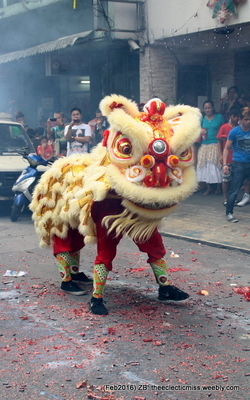 Soon, the audience stepped back as the dancers prepared to set off two firecracker belts. 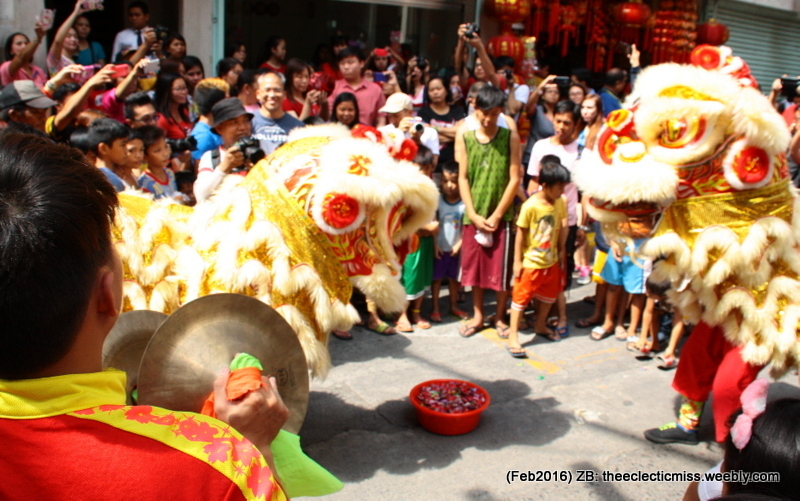 I managed to get a shot of one of the lions as soon as the firecrackers stopped. 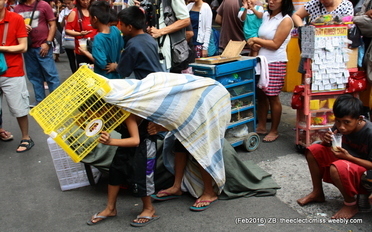 One of the most interesting things that I saw during our short trip are the children who are performing their own take of the lion dance using empty plastic crates and blankets.